A breathable mesh chair with loop arms and a pewter finish. 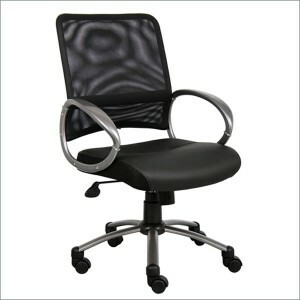 This chair is equipped with an adjustable tilt-tension control and a pneumatic gas lift seat height adjustment. Designed with a metal base and hooded double wheel casters.